Many of us who grew up along the Gulf coast can easily conjure cherished childhood memories of visiting the beach. Gorgeous sunsets and relaxing waves aside, there is and always has been something extraordinary about the Gulf of Mexico’s water. 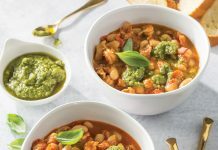 Along with its real or imagined curative properties, products that come from the Gulf have a delightful and exceptional flavor. In short, they just taste better. 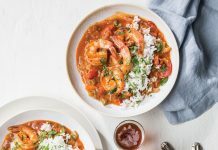 Now Pensacola-native and 2014 Louisiana Cookin’ Chef to Watch Jeremy Conner, along with his wife, Alexis Young, are capturing the Gulf’s essence in Cellar Salt. The Lafayette-based chef got the idea for the salt after hosting a dinner where he first experimented with brining and poaching fish in seawater. After meeting, Jeremy and Alexis began experimenting with different ways to manipulate the end product. They soon developed a process that removed many of the harsh-tasting minerals. They were left with a clean, pyramid-shaped flaked crystal that looks beautiful on food while imparting the unique flavor of the Gulf. “We wanted to make a great salt in terms of texture and beauty, but the most important thing for us was to make something indicative of the water’s flavor,” says Jeremy. The couple sources the seawater from Pensacola, due to its salinity and lack of Mississippi River sediment, but they’ve also developed a salt from water drawn from Caminada Bay Premium Oyster Farm in Grand Isle. They hope to soon offer an array of locally inspired flavored salts in addition to the Rêve Coffee flavored variety available now. 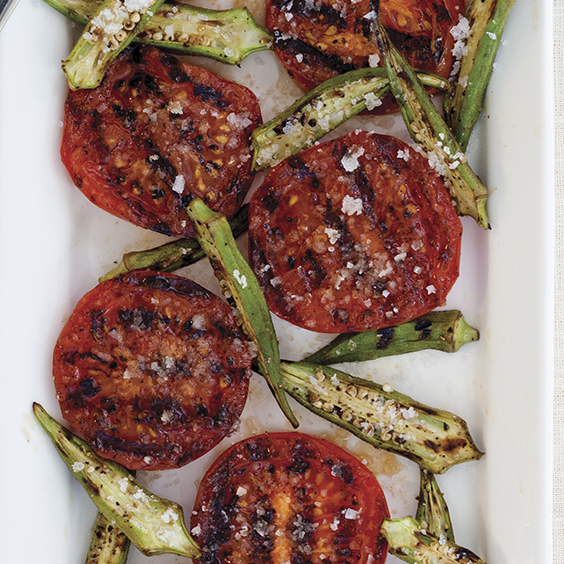 Cellar Salt adds a beautiful flavor to Cast-Iron Grilled Okra and Tomatoes. Cellar Salt can be purchased at cellarsalt.co. Visit their website for an updated list of vendors. In a small bowl, combine garlic and oil. Set a wire rack in a rimmed baking sheet; arrange tomato slices in 1 layer, and let drain. Reserve any juices. Brush tomato slices and cut sides of okra with garlic oil. Heat a large cast-iron grill pan over high heat. Season okra with pepper, and grill, cut side down, for 2 to 3 minutes. Turn okra, and cook 1 minute more. Set okra aside. Reduce heat to medium-high. Season tomato slices with pepper, and cook about 2 minutes per side, depending on ripeness, allowing grill marks to form, but turning and then removing before tomatoes become too soft. Arrange tomatoes and okra on a serving platter, and top with reserved tomato juices. Season to taste with Cellar Salt, crumbling salt between your fingers for a finer texture, if desired. Serve immediately. *Maldon salt or another flakey sea salt may be substituted. Something pops up about not cooking tomatoes in reactive cookware like cast iron or aluminum. But maybe I just dreamed that. 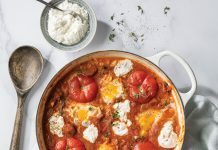 Some people can detect a metallic taste when cooking acidic foods (like tomatoes) in cast iron, but it’s not uncommon for folks to use their cast iron on a recipe like this.